If you've been following the local arts organization Terrain since its beginning, it's sort of wild to realize that it's already just shy of its 10th anniversary — that milestone comes next year. Growing to become one of the most widely-attended local arts events of the year, Terrain again hosts its annual, one-night-only arts and music showcase on the first Friday of October; this year that's Oct. 7. Many of us fondly remember past inceptions of Terrain. The line to get inside the free event always seems to wrap around the block at some point in the night. Arts supporters of all ages are willing to wait to view the innovative local art, and to see and hear live music, poetry and other performances through the night. 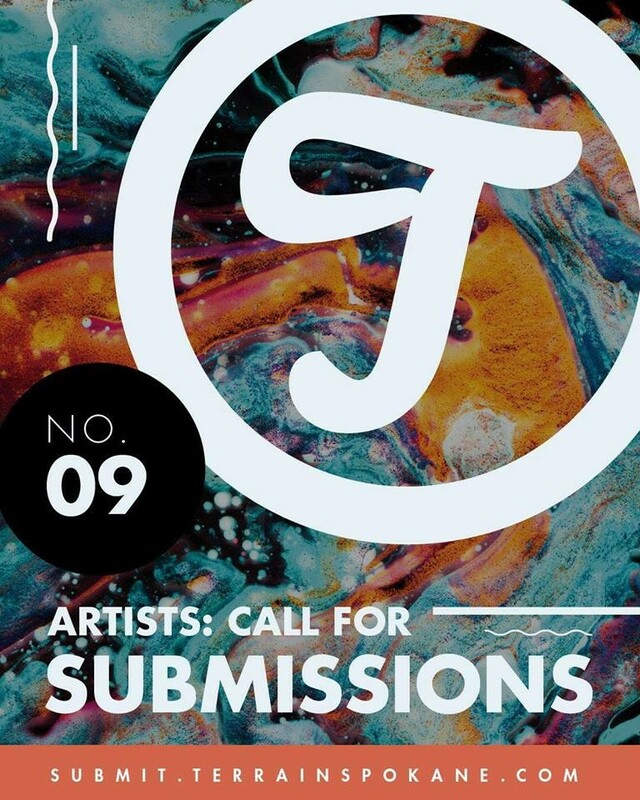 But before art can deck the walls and the bands can take the stage, creative folks across the region need to get their last-minute submissions in to be considered for the juried show. Submissions are due by midnight on August 31 — that's one week from today. All the requirements and details you need to know to be included in this year's showcase can be found online, right here. Then, to celebrate the closing of submissions for Terrain 9, the Observatory bar in downtown Spokane is hosting a special event Aug. 31, starting at 8 pm. On the lineup are local bands Von the Baptist and Outercourse, with special guests Pastel Felt from L.A.